Each of the 13 players is given the two transparencies, which are placed side by side on a wire music stand and lit from behind by lamps attached to the music stands. 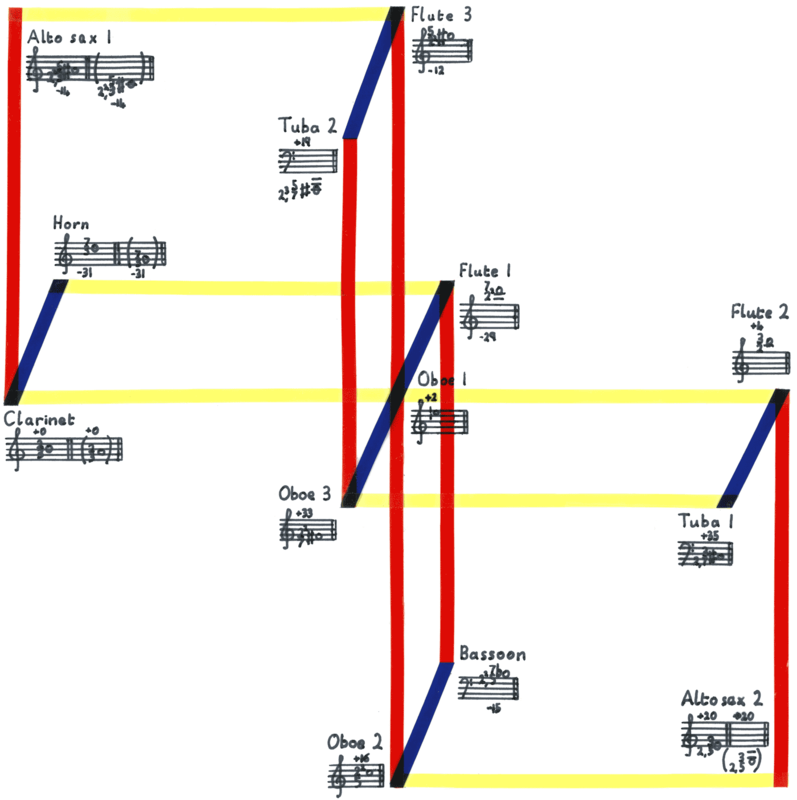 The transparency containing the large diagram indicates the positions of the players within the performance space (including the space occupied by the audience), together with the harmonic space and the pitches to be played by each musician. 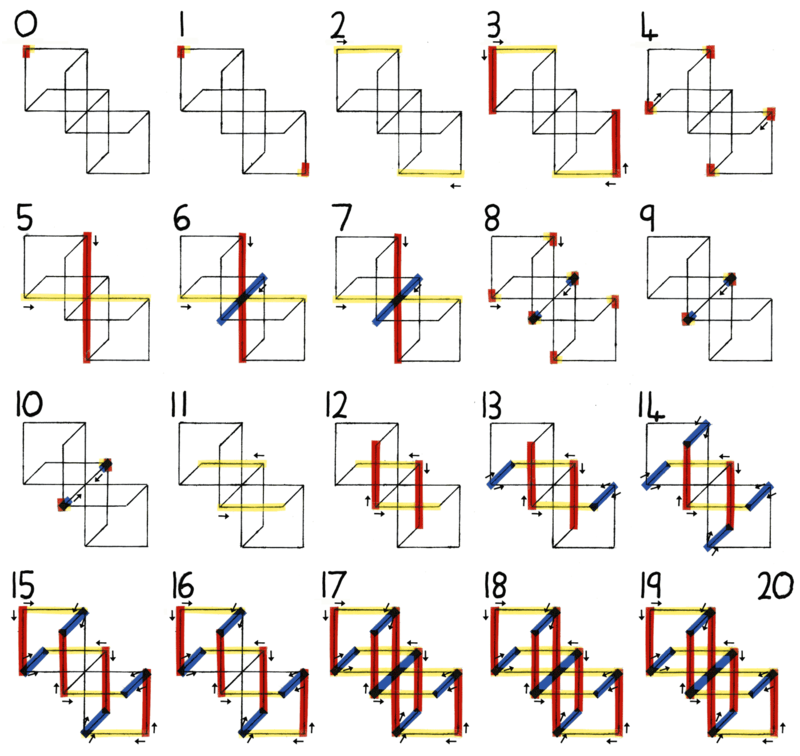 Intervals based on the prime number three (perfect fifths) are connected by yellow horizontal strips, intervals based on the prime number five (major thirds) are connected by vertical red strips, and those based on the prime number seven (septimal minor sevenths) are connected by diagonal blue strips. The pitches played by each musician reflect their position within the harmonic space. Stained Glass Music was commissioned by the Matrix New Music Centre in Leuven, and premiered on 23.10.2011 at the Transit Festival van Flandern at STUK, Naamsestraat 96, 3000 Leuven. The composition was developed over a rehearsal phase involving the active participation of the players, who were mostly amateur musicians.